Malvern Optical has access to a laser and imaging range on Pershore Airfield. Laboratory facilities are available (including raised cabins) at one end of the range where equipment can be based. A runway adjacent to the range allows easy vehicular access along the whole length to facilitate measurements and repositioning of target sets. 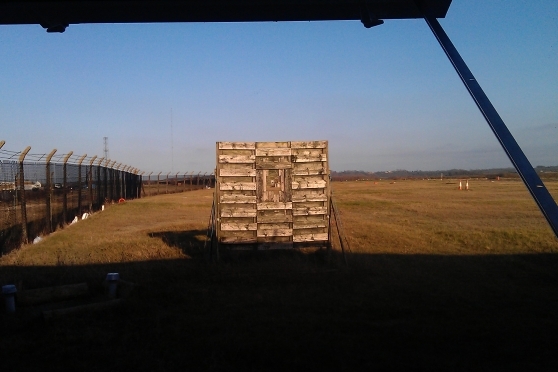 Our secure compound is ideal for short range imaging and propagation trials (maximum range 100m). We can also provide access to a number of different terrain types including scrubland and urban environments to suit Customer requirements. Night time trials can also be accommodated.